‘Eat a colorful plate’ is what dieticians have been saying for years. After all, eating a different variety benefits you with a large number of nutrients. But it's time to try something with a big bite of white goodness. Why do we have to try? In spite of the various attractive colors, vegetables haven’t seemed to attract people. A number of studies have shown that we do not consume enough of white foods which are rich in nutrients like fiber, potassium, vitamin C, vitamin B6, magnesium, and small amounts of high-quality proteins. The institute of medicine found that people between the age group of 19 to 50 years consume only 50% as against their recommended dietary allowance. Potatoes: A medium baked potato (skin-on) is rich in dietary fiber, potassium, vitamin C and B6, and magnesium. Mushrooms: The low-calorie, cholesterol and fat-free, low-sodium food has a fifth basic taste ‘umami’ after salty, sweet, bitter and sour. It is also loaded with selenium, niacin, and potassium. Cauliflower: The sulfur-containing cruciferous vegetable is known for its cancer-fighting and tissue-strengthening properties. Garlic: The pungently-flavored antioxidant-rich food boosts your immune system effectively. Onions: This anti-inflammatory vegetable reduces the risk of cancer, diabetes, and heart disease, and also eases arthritis pain. 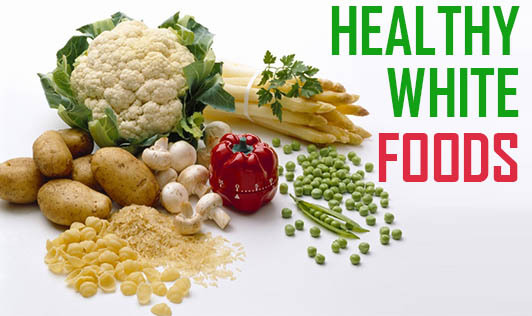 So include these wonder foods in your daily diet to eat more healthy.